Y'know, ever since Merry took off outta Autumn Vale (Author's note: see Much Ado About Muffin for an explanation!) I been seeing a lot of changes goin' on in Autumn Vale. And not for the good, I gotta say. Used to be I would dress up in weird hats and walk around town just outta boredom. But I ain't been bored ever since Merry Wynter came to town. God, my old pal Melvyn Wynter woulda loved his great niece. She's a real pistol. She don't even know how she shook this town wide awake. We were like Rip Van Winkle, slumbering in a western New York heat wave, an' she came along and shook us outta our torpor. But she's been gone a while now, left us in the lurch; she said she's coming back, but I don't know when. And things are goin' sour again. It ain't just her muffins I miss, though those are pretty good too. I miss the way she'd get involved and straighten things out. There's dark things going on, and people being sucked into crap they shouldn't. How it'll end, I can't even figure. That's the crappy thing about bein' as old as I am; folks are real nice and sweet to you and all, but they don't listen to a derned thing you say. Not really listen. Merry listens when I talk... really listens. Dang it, I miss that girl, and so do Pish and Shilo. Crap goin' on there too. Did I say that already? Mebbe, but it bears repeatin'. I miss Merry! She better get back here soon. Do you ever see cruddy things coming, and yet you know there's not a goldarn thing you can do about it? Ain't that the craps? Cozy Up To Summer giveaway. I will choose one commenter to win a prize package including this (pictured) beautiful teacup and saucer, and this VERY cool skull teaspoon, as well as a copy of Much Ado About Muffin, pre-ordered from the Book Depository just for you! So, include your name and a valid email - (yourname (at) yourserver (dot) com, if you like, to foil the spambots) - by Midnight, July 22nd. US and Canadian entries welcome! I am so looking forward to Merry's new story! Thanks for the chance to win! Sounds amazing! Loved the post and thanks for the chance. sounds good!!! and that teaspoon! how cool is that???? 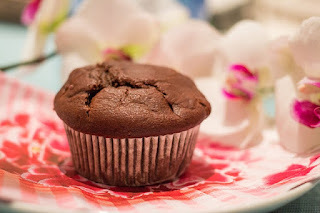 Much Ado About Muffin sounds like a fun read! Thank you for this awesome giveaway and the chance! Love the spoon! The books are awesome too! Thanks for having a giveway. Oh don't I know it! The older you get the less and less you know according to those youngins! Us older folks have learned a thing or two but, of course, no one listens to us. The young think they know it all. We have to just step back and let them make their own mistakes. Love this except, what a character. I think the older we get the more we can recognize when something is going to happen that we won't like much, but on the positive side we know we'll likely get through it just fine - eventually. What a lovely cup and spoon. Thanks for the giveaway. I've been enjoying this series. You have the best stories and such fun to read. Enjoy your summer. mbquilts4@aol.com Marti B. Sure do love this series! Looking forward to reading the new adventures in this book---and eating some muffins. Thanks for the giveaway. What a fun sounding book! I'm down with anything that includes muffins! Oh my, that teaspoon is perfect! I already know the book is going to be fantastic! Even when the cruds are coming (and we know it) we get to choose our attitude. At least we've got that. Of course, sometimes I wish I could choose others attitudes for them as well! Hard when you see the cruds coming for someone who was asking for it and all they do is whine and complain. Love the cover of the book. Love the teaspoon. I collect spoons would love to put this one in my rack. The book looks great, and the teasponn is amazing!!!! Thanks for the chance to win!!!! Sounds like a great read. Is on my to purchase list. Rhonda Lee email:leer618@yahoo.com. thank you the prize looks awesome. Sounds great to me also! I could eat a muffin right now! Maybe chocolate or chocolate chip. Haven't read any books in this series. Yes, I see something cruddy coming next week and there is NOT A THING I can do about it. But I am going to read my ARC of Much Ado About Muffin and hopefully I will stay sane, or somewhat sane. That teaspoon is so interesting! 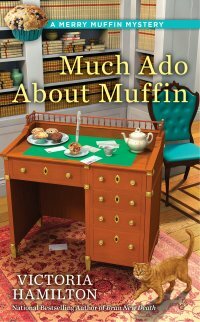 This is a great series and I can't wait to read "Much Ado About Muffin". Great giveaway, love the tea cup and spoon. Oh I'm so excited about this book! I have the first one on my shelf and it's next to dive into!!! I posted a picture on facebook when I bought it and everyone raved about this series. I'm seriously excited to get into it, especially with another one so close! Thanks for the chance to win too! I love cozies based around bakeries! They're not only fun but they also include fun recipes sometimes. That is am amazing spoon! Just started this series! Love it! Looking forward to the new release!!!! It is such a fun series! Sounds like a great book! And who doesn't love muffins? Thanks for the chance. This book sounds great! How clever a way to get us all interested in your work! I do love this series, and enjoying a 'cuppa' along with reading your book, is a marvelous way to spend a weekend. I love that teaspoon! Perfect for my husband's tea too!! Can't wait to read the book Too! I love your books! I hope I win! My name is Susan and my email address is Pucsbride13@gmail.com. thanks for the opportunity! I love tea with my cozy!!! This is one of my favorite series. I would to win this prize. Love culinary mysteries, thanks for the great giveaway. I have read several titles in this series so would love to win a copy of the new one! gosh I tried for hours to enter this...I hope I am not too late as I would love to enter the contest. 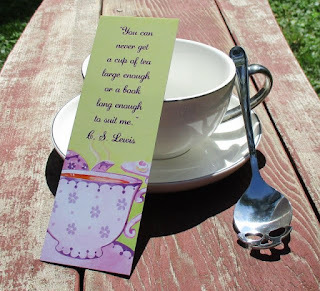 The Book sounds great as does the teacup and I collect them. Thank you for including Much Ado About Muffin by Victoria Abbott on you blog. What a creative giveaway too. Hi Robin... thanks for entering. Just a note... Much Ado About Muffin is by me, Victoria HAMILTON, not Abbott. There are too many of us Victorias! LOL. Thanks for the chance to win. I can't wait to read this! Jlsbookclub (at) nc (dot) rr (dot) com. Haven't read any of these books but just reading this little bit makes me want to try them. Sounds like a fun read. Thanks for a chance to win one. Wow, so many entries! But I would love to have this book for my library.